Group of qualified yacht designers & naval architects with many years of experience working in the industry. With experience in both sailing and motor yachts, we are able to offer a comprehensive service to clients and builders. Every Hydra Yacht Design project is undertaken in a meticulous professional fashion, with a high emphasis on client satisfaction. Web Site Snapshot: If available, above is a snapshot of the Hydra Yacht Design web site at http://www.hydra-yd.com as it appeared when this site was added to the directory or last verified. 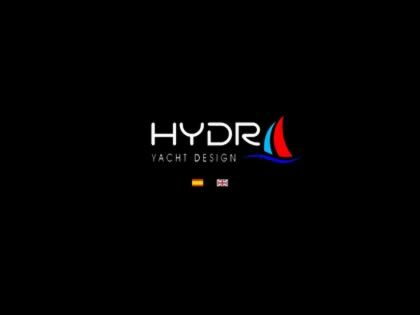 Please Note that Boat Design Net has no involvement with the above web site; all content and images depicted in the above thumbnail are the property and copyright of Hydra Yacht Design unless otherwise noted on that site. Description: Group of qualified yacht designers & naval architects with many years of experience working in the industry. With experience in both sailing and motor yachts, we are able to offer a comprehensive service to clients and builders. Every Hydra Yacht Design project is undertaken in a meticulous professional fashion, with a high emphasis on client satisfaction.